CEPREI HQ No.110 Dongguan Zhuang RD. Guangzhou, P.R.China Telephone: +86-20-87236606 [email protected] As a leading provider of management system certification body in China and the first Executive Member of CSA in Asia, CEPREI Certification Body Provides information security related professional services such as ISO20000 & ISO27001 certification, risk assessment, IT governance, Business Continuity Management etc. 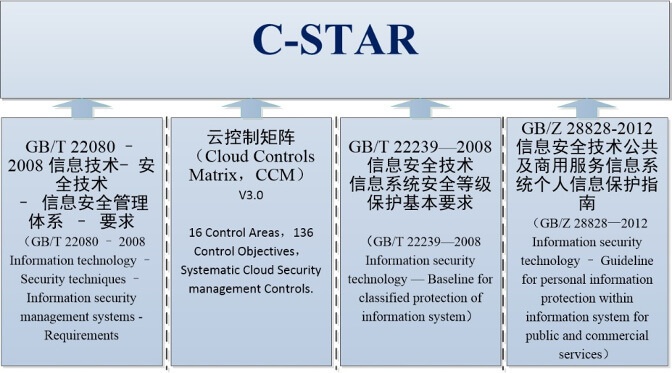 Also, newly launched C-STAR assessment scheme is provided to help our client fully understand cloud security issues they’re facing and how to put the appropriate controls in place. CEPREI Certification Body with unique legal status is a registrar authorized and accredited by national department and/or accreditation bodies home and abroad, to conduct third-party certification. It grew out of Inspection Division of China Electronic Product Reliability and Environmental Research Institute （the Fifth Electronic Institute） established in 1956, which is the first scientific research organization at national level engaged in product quality and reliability research in China. As early as 1979, CEPREI Certification Body introduced the concept of Certification into China. 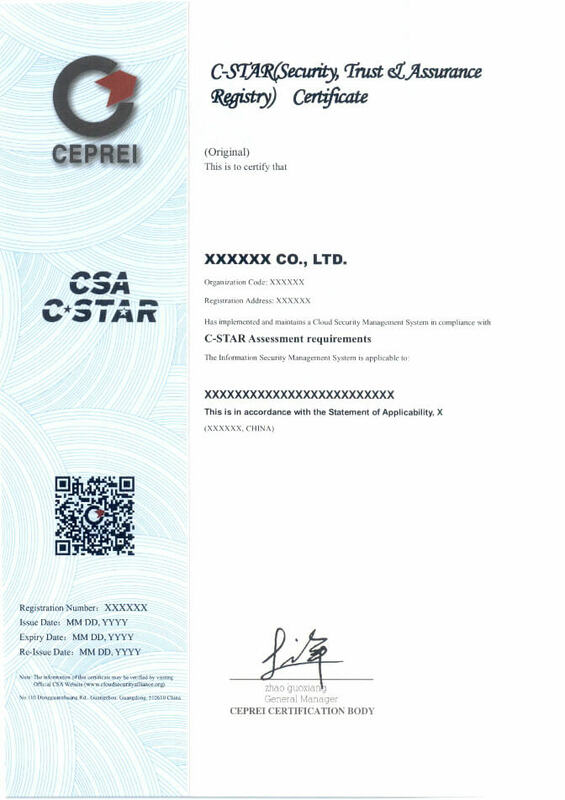 Ever since then CEPREI has issued more than ten thousand certificates of various types to its clients. It sets foot in all administrative regions in mainland China and other countries and regions including Hongkong Special Administration Region, Taiwan, USA, German, Holland, Denmark, Australia, Japan, Korea, Malaysia, Thailand and Singapore. As one of the most authoritative accreditation bodies in the world, America National Standard Institute-Registrar Accreditation Board (ANAB) has authorized CEPREI Certification Body to issue ISO9000, ISO14000 and ISO27001 certificates with ANAB logo since 2001. The certificate will be helpful for your products and services in improving reputation and enhancing competitiveness home and abroad.